Pan-seared chicken breast topped with melting mozzarella cheese, fresh tomatoes, a sprinkle of basil, and a drizzle of balsamic vinegar. A quick, easy, and delicious chicken dinner idea! That up there calls for a repeat of summer, yes? Eeeeep! Hello Hello! How’s it going? I wore long sleeves and a jacket last night… NOT JOKING. () Normally, that type of disaster leads me straight to a bowl of Smoked Sausage, Kale and Potato Soup, BUT not before I get to fully enjoy the last of my mom’s garden-fresh tomatoes and basil. Also, technically, we have exactly 17 more days of Summer, so yeah…take that you crispy, chilly weather, you! Before we start, let’s just mention the fact that I don’t care if it was -192 degrees out there and rocks were falling from the sky – nothing would stop me from scarfing down this incredible chicken dinner. NAH.THING. To add, I am also SO excited to tell you about a combination that I truly adore: an author of a cookbook that is also a food blogger! One of my blog-crushes is Mary Younkin and her beautiful internet space, Barefeet In The Kitchen. Those that follow my Weekly Meal Plans might already know of her and her amazing recipes. This right up here ⬆ ⬆ ⬆ is HER cookbook! 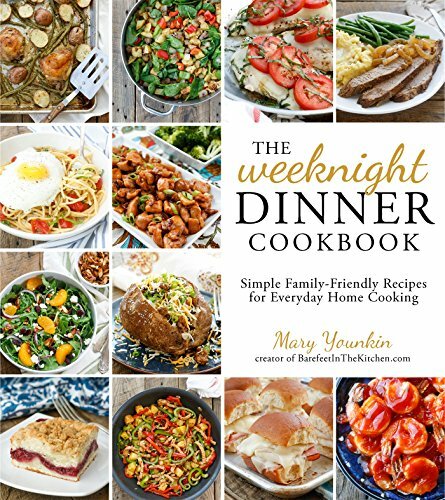 The Weeknight Dinner Cookbook is filled with quick dinner recipes, flavorful side dishes, and a few gorgeous and sweet treats. 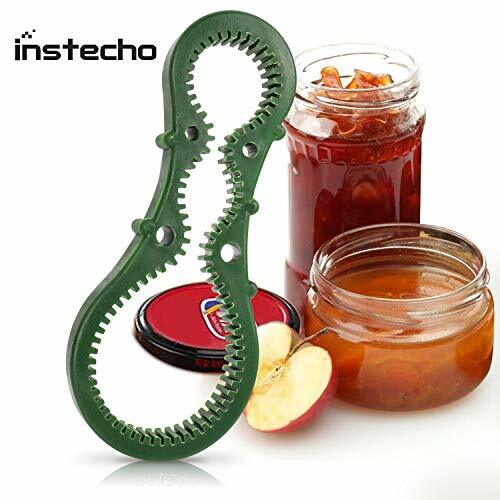 The recipes are all categorized by the amount of time and effort required to make each dish, with notes suggesting a side dish for each main dish. The tagline, “Simple Family-Friendly Recipes for Everyday Home Cooking”, could not be more fitting; it completely delivers on its promise. 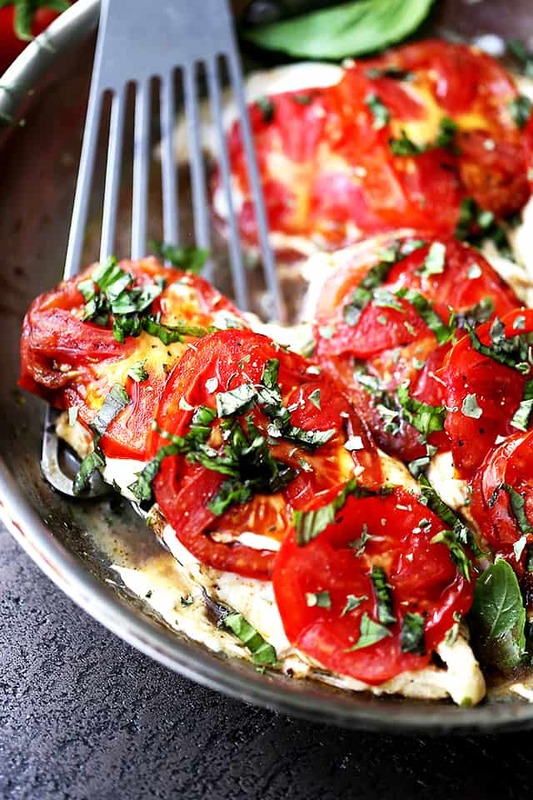 Take for instance this flavorful, juicy and tender Caprese Skillet Chicken. It takes under 20 minutes to make, prep time is barely 5 minutes, and it’s so, so delicious. For people that are always rushing and are on-the-go, but still want homemade food, this is the cookbook they need. 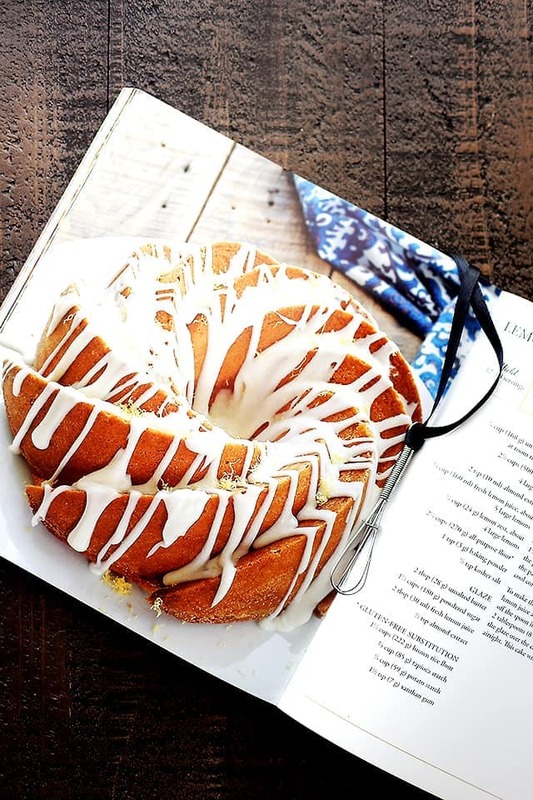 It is filled with the most family-friendly recipes that anyone can make, from Chicken Cordon Bleu Sliders to Fish Tacos with Jalapeno Lime Sauce, to the ever so beautiful, Lemon Lover’s Pound Cake. It’s all in THE book and it’s what you need in YOUR kitchen. P.S. Grab one skillet, a meat tenderizer, and some chicken breasts – this Caprese Skillet Chicken ain’t gonna make itself, you know? 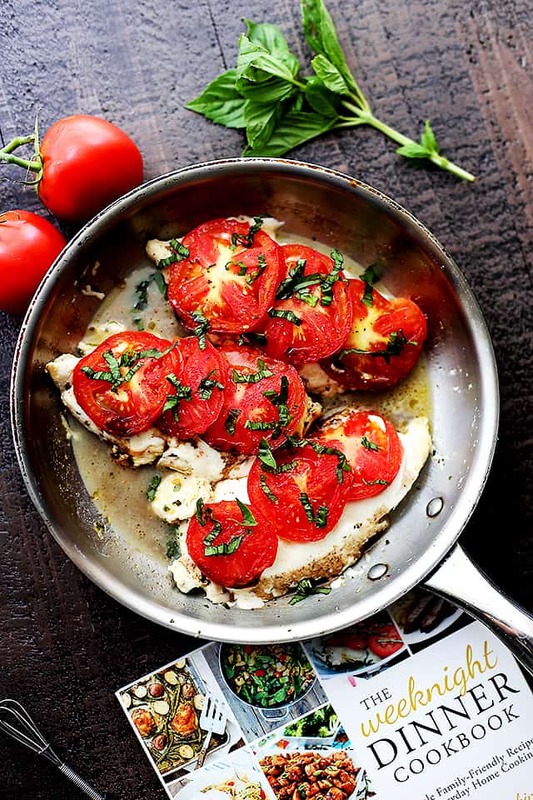 Caprese Skillet Chicken Recipe - Pan-seared chicken topped with melting mozzarella cheese, fresh tomatoes, a sprinkle of basil, and a drizzle of balsamic vinegar. Pound chicken breasts down to 1/2-inch thickness. Sprinkle the chicken with salt, pepper, and dried basil. 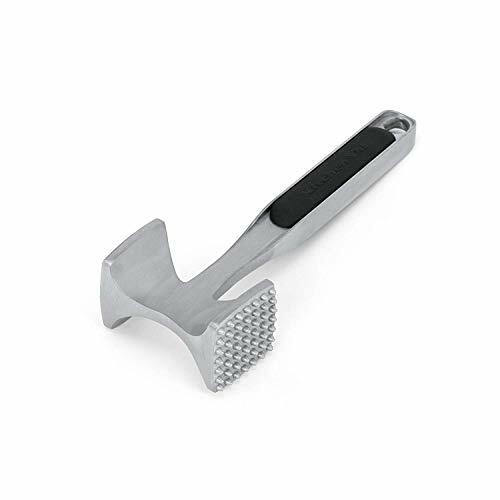 Slice the mozzarella cheese into 1/4-inch thick-slices; set aside. Slice the tomatoes into 1/4-inch thick slices; set aside. Warm a large stainless steel skillet over medium-high heat; add the oil and heat until shimmering. Add the chicken in a single layer across the skillet and cook without touching it for 90 seconds. Reduce heat to medium; flip the chicken over and top each piece of chicken with cheese slices and then tomato slices. Cover with a lid and continue to cook for 3 minutes. The cheese should be just beginning to melt over the chicken. Remove from heat, uncover and test the chicken for doneness. It should be white throughout with barely a hint of pink. Sprinkle the tomatoes with a pinch of salt and pepper and top with fresh basil. Love, love, love your site and recipes, but it’s been a bit disappointing to see the growing proliferation of ads on your site. It’s a bit overwhelming. I get that advertising is an important income stream, but it’s become a bit much here (pop-up, floating, attached to pictures, interspersed throughout…). I mean no offense – just my two cents. Oh my goodness! 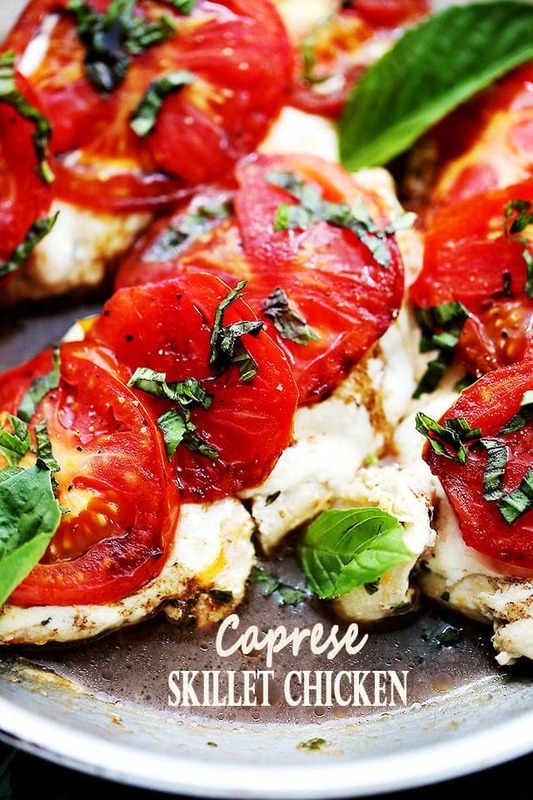 Best Caprese Recipe of the Summer! I’m thrilled that you’re enjoying the cookbook, Katerina and that you liked the chicken! My boys love this dinner. Your photos are beautiful and now I’m craving this meal!! Thank you so much! That recipe looks incredible, and so does the book! 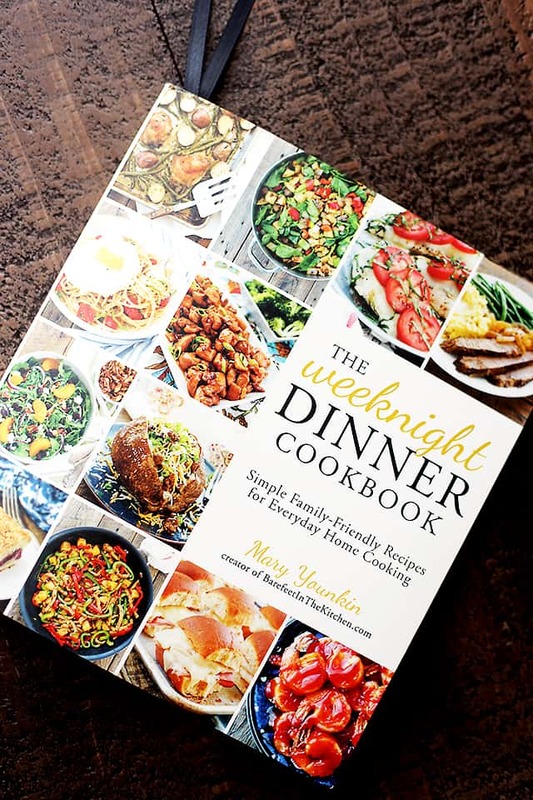 Mary’s book is filled with so many delicious recipes – it’s hard to decide what to make first! 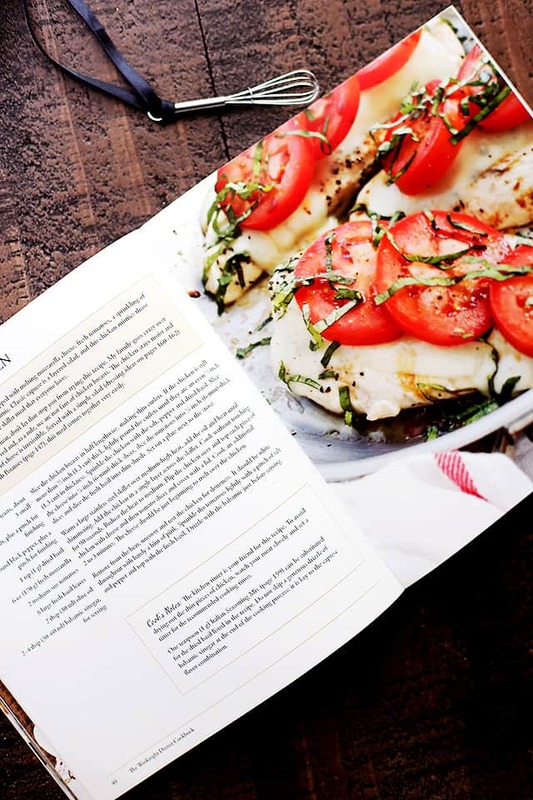 I totally want to make this caprese chicken now! 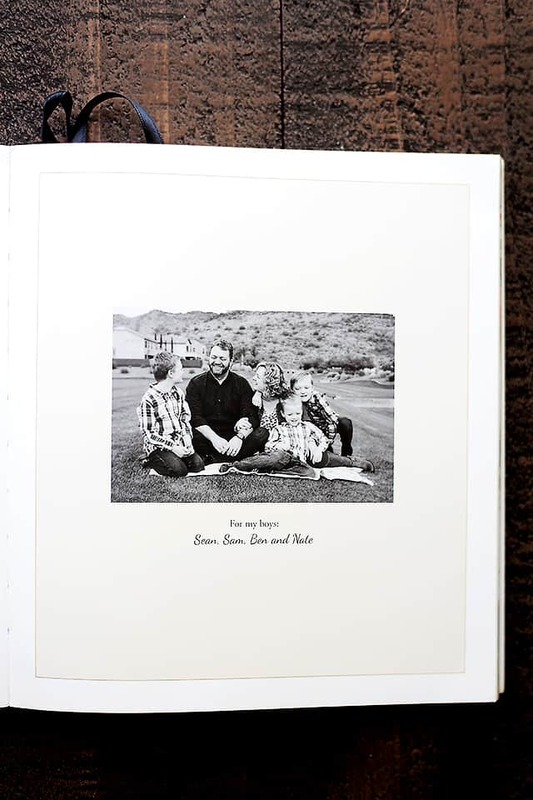 Gorgeous photos, Kate! Every recipe I’ve seen from Mary’s cookbook is better than the last…and that’s saying a whole lot! 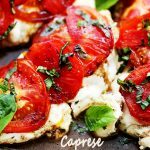 This caprese skillet chicken looks incredible!!! I’m making my way through Mary’s cookbook right now (and loving it). This is one of my bookmarked recipes…and now I want to make it even more. Looks amazing!